Aldalberto Gonzalez, 26, of Boston, was arrested on Massachusetts Drunk Driving Charges after he allegedly crashed his car into a home in Roslindale last week. 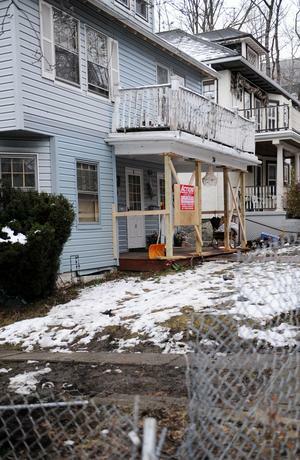 Boston Police Officers responded to the the Roslindale home after the owner was awakened by a car having driven right into the porch of his home. The owner, home with his wife and four kids, were not hurt, though the porch and the supporting beams were damaged. The driver of the car, Aldaberto Gonzalez, was reportedly already out of his car inspecting the damage when Boston Police Officers arrived. He was reportedly asked to take some Field Sobriety Tests, but he exercised his rights and refused to take any such tests. After a search of Gonzalez’ car allegedly yielded two empty beer cans, Gonzalez was arrested on DUI / OUI Charges. Adalberto Gonzalez was formally charged with Operating Under the Influence of Alcohol. Boston Criminal Defense Attorney Lefteris K. Travayiakis is available 24/7 for consultation on all Massachusetts DUI / OUI Charges, including Operating Under the Influence of Alcohol or Drugs.